After a spate of suicides related to mass shootings, experts are further exploring the relationship between trauma and mental health. The first week of April has been the only week since 2013 without a mass shooting. Shooting-related suicides are becoming repeated occurrences in the United States. The only growing category of homicide today is the mass shooting. In 2019, several suicides related to the aftermath of mass shootings have been publicized. Laymen and experts alike are questioning the nature of such trauma as survivors and secondhand casualties are being identified with severe PTSD and survivor’s guilt. Some of the recent cases include surviving students from the Parkland shootings. Sydney Aiello took her life in March after suffering for months following the death of her good friend Meadow Pollack. Her family and the school mourn her loss as the shooting continues to take its toll. Her issues with PTSD manifested into a fear of being in a classroom, according to Fox News. A connection has been drawn between last year’s calamity at Stoneman Douglas and the young woman’s suicide. Following the funeral of Sydney Aiello, a second student was found dead by suicide. The young man, Calvin Desir, was 16 years old. His family described him as bright and said that he wished to become an engineer. Much less information about Calvin Desir has been circulated pertaining to his struggle with trauma stemming from last year’s shooting. The long term effects of mass shootings are beginning to become far more apparent. 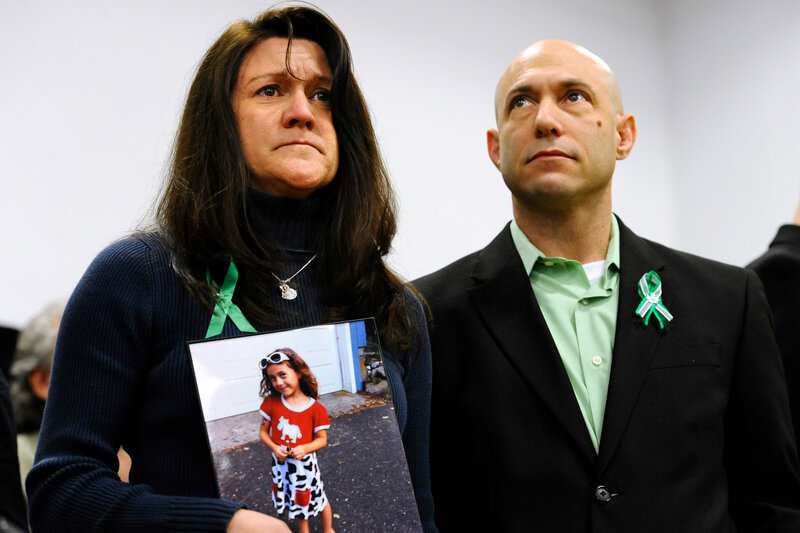 Seven years following the tragedy at Sandy Hook, Jeremy Richman, a parent of victim Avielle Richman, took his life within 10 days of Aiello’s death. Richman was a neuropharmacologist who founded a non-profit to study the nature of violence. Those surrounding him spoke on behalf of his intense grief and passion for motivating change and aiding prevention efforts against mass violence, according to ABC News. These are not the first trauma-induced casualties of a mass shooting. The Columbine shooting in 1999 saw two additional victims of suicide within a year of the catastrophe: Greg Barnes, a witness to the death of Dave Sanders, and the mother of Anne Marie Hochhalter. A causal relation has been identified between these terrible occasions, but researchers do not have a clear link between the two as of yet. What they have identified is a pattern and the connection between these tragedies, the incidence of fear and the feeling of environmental insecurity as cited in the academic journal Trauma, Violence and Abuse. The scramble to obtain a solution to this national epidemic is more heightened now with the widespread mourning of these tragedies. The enormity of the issue is leading many to find more questions than answers, as the standard procedure to provide counseling and psychiatric services following these cataclysmic events does not appear to be completely effective. Researchers are working rapidly, and many passionate individuals are constantly searching for an explanation, but the nature of this rampant issue remains obscure. If you or someone you know is in crisis, please call the National Suicide Prevention Lifeline at 1-800-273-TALK (8255) or contact the Crisis Text Line by texting TALK to 741-741.